Without the novelty and excitement attending the Mercury and Gemini missions and lacking the romance and triumphal moments that crowned Apollo, the Space Shuttle program has always been the poor stepchild in our manned space flight history, unfortunately better known for its disasters, the loss of the Challenger and Columbia spaceships, than its achievements. White (Vulcan 607: The Epic Story of the Most Remarkable British Air Attack Since the Second World War, 2012, etc.) returns us to the program’s origins, the hugely complex problem of building a reusable workhorse intended to routinize space travel, the political environment that shaped so many decisions, and the tests and preparation leading up to his almost hour-by-hour re-creation of the launch. Astronauts, of course, take pride of place among his large cast of characters, especially Cmdr. John Young and Pilot Robert Crippen and backup crew Richard Truly and Joe Engle. White’s smoothly readable account also features numerous lesser-known figures who played a crucial role in the orbiter’s story and some behind-the-scenes names that became well-known to space enthusiasts. 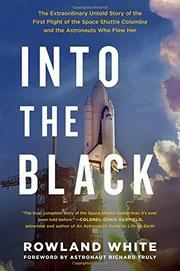 Throughout, the author demonstrates NASA’s debt in terms of money, manpower, and expertise to the Air Force’s scuttled Manned Orbiting Laboratory, a point made most effectively as he chronicles the fear and tension over the tiles that had come loose from Columbia’s heat shield. Would the spaceship survive re-entry? Only difficult-to-retrieve photos from the Department of Defense’s top-secret recon satellites could reassure flight managers and satisfy the crew they could, “traveling three times faster than any winged flying machine had ever flown,” make it safely back to Earth, to an almost perfect landing on a dry lake bed at Edwards Air Force Base. For space aficionados especially but also a good choice for general readers seeking an introduction to an underappreciated, thrilling chapter in aerospace history.